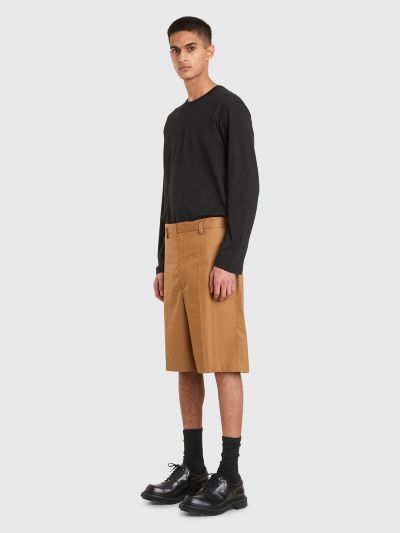 Shorts from Jil Sander. Zippered fly, button and hook closure and belt loops at the waist. 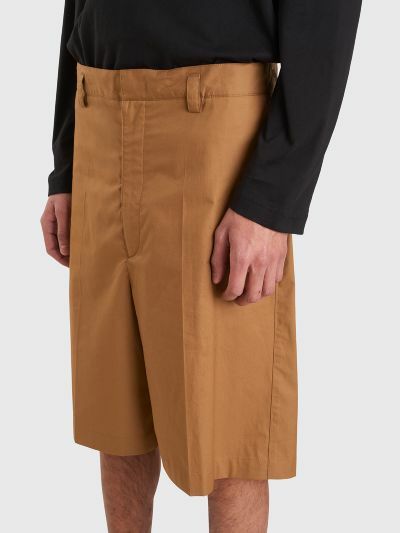 Two front seam pockets. Two back patch pockets. 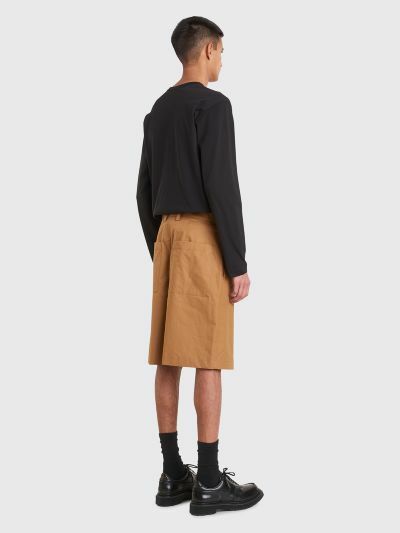 Pleats on the front and back. 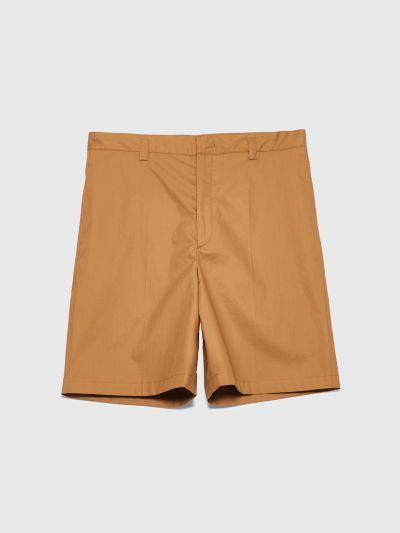 Beige shorts made in Italy from 100% cotton. Slightly relaxed fit. 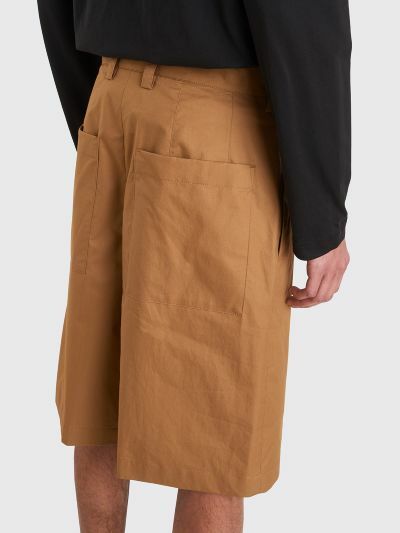 Model is 185 centimeters and wears size 46.